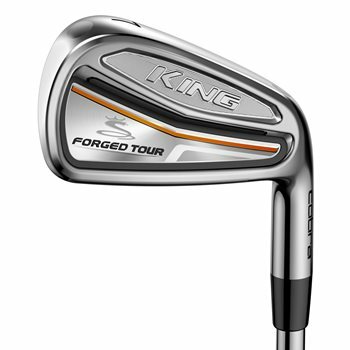 The Cobra King Forged Tour iron set gives you tour proven performance with a soft feel and precision. Each iron goes through a 5 step forging process that allows for more precise iron shaping and a more refined grain structure for a superior feel. The set features tungsten heel-toe weighting to lower and center the CG to deliver forgiveness and precision while the 100% CNC milled face and grooves deliver maximum spin and trajectory control throughout the set. The nickel chrome plating finish provides enhanced durability and an appealing look at address. Does this iron set include the same length shafts throughout the set? The "DeChambeau" style? These are not the one-length irons.